Hospital executive Linda Pilkington, whose support of Polk State College dates back nearly two decades, will now serve as chair of its District Board of Trustees. Pilkington was unanimously approved for the position during Monday’s meeting of the Trustees. She replaces attorney Mark Turner, though Turner continues as a trustee. “The College is truly fortunate for the leadership and expertise of our Trustees,” said Polk State President Eileen Holden. Pilkington’s involvement with the College began nearly 20 years ago when she served on the advisory board for its Nursing Program. In the years since, she’s also served as chair of the Polk State Foundation Board, in addition to being a trustee since Aug. 2011. No matter her formal title with the College, through the years she’s also been a constant “cheerleader,” lending her support in numerous ways. Pilkington is director of community and government relations at Heart of Florida Regional Medical Center in Haines City. She is also a retired Registered Nurse, and has extensive experience in nursing education and administration, marketing and community relations, and has held positions in higher education, healthcare and manufacturing. She has a bachelor’s degree in Nursing from the University of the Philippines and a master’s degree in Teaching Nursing in Biophysical Pathology from New York University. Her other community involvements have included the Central Florida Regional Planning Council, Citizen CPR, the Greater Winter Haven Chamber of Commerce, the Haines City-Northeast Polk County Regional Chamber of Commerce, Leadership Polk, Leadership Polk Alumni Steering Committee, Polk Academies Advisory Board and Finance Committee, Polk Vision Quality of Life Task Force, Polk Works and the school advisory committee of Ridge Career Center. Pilkington said her long support of the College has been easy given her belief in its mission, and she is honored to take on this new role. Pilkington also excitedly acknowledged that her one-year term as chair will extend into the College’s 50th anniversary; Polk State was founded in 1964. As chair, Pilkington takes on the added responsibility of presiding over the DBOT’s monthly meetings. Also unanimously approved on Monday was Trustee Dan Dorrell, who will serve as vice chair, replacing Pilkington in the position. Dorrell will preside over meetings in Pilkington’s absence. The new post has particular significance for Dorrell, a member of the College’s first graduating class. Dorrell is a certified public accountant and partner at Cross Fernandez & Riley, LLP, which specializes in a variety of industries, including agriculture, medical manufacturing, legal and other professional services. His other community involvements have included the Sebring Utilities Commission, Sebring Chamber of Commerce and the Highlands County Family YMCA, which he helped to found, as well as the Florida State University and Polk State College alumni associations. He also serves on the board of SunTrust Bank and helped to found the Highlands County Leadership Program. He is a veteran of the Florida National Guard and holds a bachelor’s degree in Finance from Florida State University, as well as his Associate in Arts from Polk. Dorrell said he hopes in the next year to secure funding for needed facilities improvements at the College, and he is also eagerly looking forward to the opening of the Polk State Clear Springs Advanced Technology Center in early 2014 in Bartow, as well as the groundbreaking for the Polk State Center for Public Safety in Winter Haven. 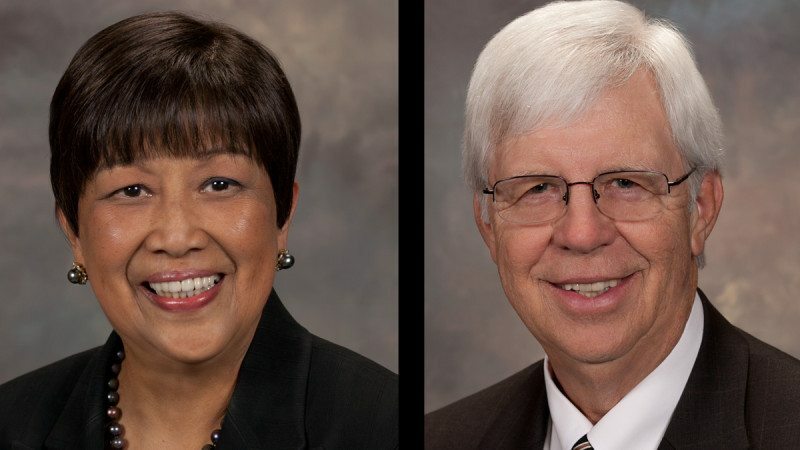 Members of Polk State’s DBOT, like those of Florida’s other state colleges, are appointed by the governor, with approval from the state Senate, and serve four-year terms without compensation. They are vested with decision-making power in matters of College policy, programs, building, budget and personnel.